FAIRFIELD — Heather Neary is currently working on a master’s degree in social work at Fordham University, a task that can keep a person busy. She now has another task — as the town’s social services outreach worker. Neary is no stranger to the town after spending a year interning at the Social Services Department. “For the course of that year, I was able to grow an understanding of the needs for our community members while connecting them to local, state or federal resources,” Neary said. 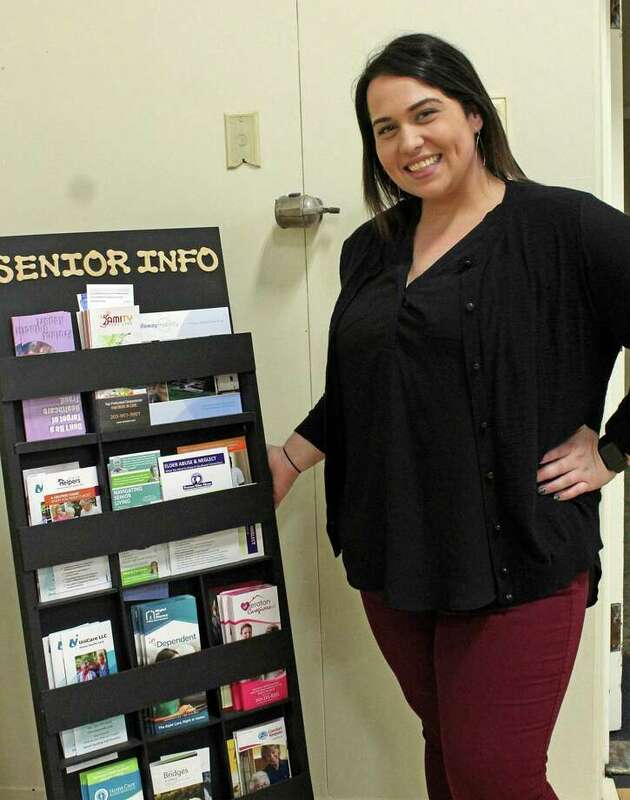 Neary said she has always had a passion for working with older adults and increasing their quality of life by serving as a navigator through the social services system. “I entered the field of social work about seven years ago with the willpower to be an agent of change,” Neary said. Director of Human and Social Services Julie DeMarco said there are many seniors who are alert and oriented living alone in town. It will be Neary’s job to connect seniors and existing community services, DeMarco said. “My hope during this year grant term is to continue to gauge and address the need our seniors are facing and work with the Social Services Department to come up with a long-term solution for our community,” Neary said. Neary recently answered some questions about her new role. Q: What is a social services outreach worker? A: The funding for the social services outreach worker was created through HUD and the Economic Development Department under the community development block grant program. My role is to identify, assess, and connect older adults 65+ in the Fairfield community that are living alone, as well as caregivers for a family relative who may need support. The key purpose for this position is to address the unmet needs of those elderly residents who do not attend programs at the senior center, are eligible and not currently receiving social services through the town, and may be isolated from community resources. One of the goals of my position is to provide support to individuals who are low-income and/or with limited resources, and who might be at risk for cognitive and physical decline due to social isolation. We want to connect our seniors with exiting community resources to enhance their independence and quality of life. Q: How big is the need for this type of service in Fairfield? A: The need is growing for our community to stay connected and to continue to foster cohesiveness. I have noticed that the need for this type of service has been discovered through collaboration on cases that get referred to us from the Fairfield police and fire department. Seniors isolated in our community call the emergency department for lift assists or fall injuries at a growing rate which reoccurring calls are very costly to a town’s budget. Also, some seniors are not facing the hardship of not being able to utilize the senior center due to homebound reasons. Q: How does this improve upon what the town already does? A: Through this position, I have the ability to go to their homes, asses the risks, and connect them to a social worker in our department. After the initial assessment a collaborative effort between client and social worker to develop a long-term plan will be established. An example of a long-term plan would be helping client secure in home care through Connecticut Homecare Program for Elders, or having meals on wheels delivered daily because lack of mobility has decreased senior’s ability to cook. This grant position improves upon what the town already does by creating another service that the town of Fairfield can offer its community as a resource. Q: What are some of the leading causes of isolation among seniors? A: The leading cause of isolation among our seniors is decreased mobility, lack of family support, close friends moving away or passing away, and our increasing number of homebound older adults. Isolation negatively affects individuals physically, mentally, and increases the risk of premature mortality. The biggest cause of isolation I have noticed is the increased dementia symptoms of declined memory reducing an individual’s ability to perform hindering their ability to seek help. The trend I have noticed within our community is the senior not ready to engage in the senior center that has been independently functioning within our community, but then suffers a fast decline struggling to maintain their previous lifestyle and enhancing the community isolation. Q: What are some of the services available to seniors in Fairfield? A: We are lucky that Fairfield has a wealth of community resources to assist our seniors. The Social Services department offers short-term counseling and referrals to resources, as well as assistance with energy assistance, assistance in securing the basic needs. We also collaborate with agencies in town and a variety of agencies and organizations that serve seniors. Social Services provides assistance such as CHOICES Medicare Counseling, gift card Energy Assistance, Operation Fuel. The social workers coordinate assistance with Fairfield police, fire, Operation Hope, Life Bridge, Fairfield churches and synagogues, town departments, including the tax assessor, Economic Development for its handyman program, the housing authority, first selectman’s office, Protective Services for the Elderly, Department of Children and Families, the Connecticut Department of Veteran Affairs, the Workplace for employment assistance, along with many others. Existing community partnerships include our work with the Health Department, the tax assessor’s office for state and local senior and disabled tax relief, veterans services, Fairfield Rotary and Kiwanis. Seniors benefit tremendously from the volunteers from Fairfield’s public, private and parochial schools, as well as the National Charity League and Scholars and Athletes Serving Others, who shovel in storms, help serve lunch, rake, and create cards for homebound seniors.